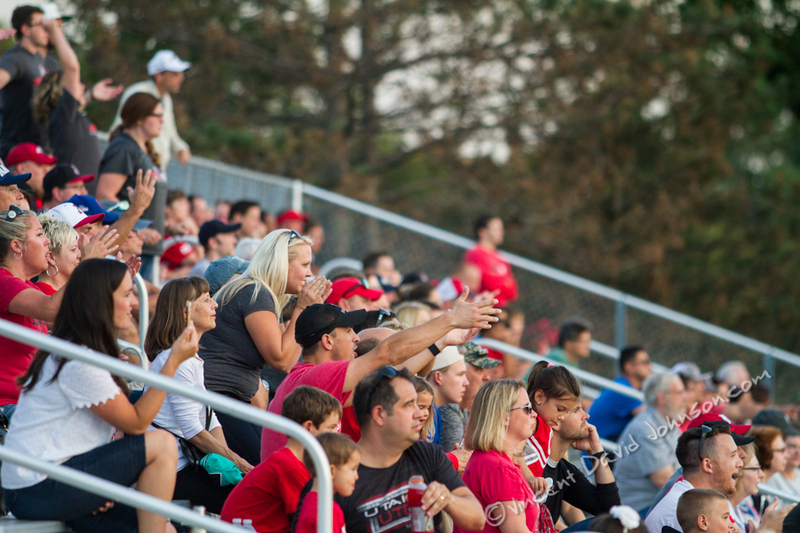 American Fork fans in the visitors’ bleachers at Hinsdale Central, Friday, August 26, 2016. 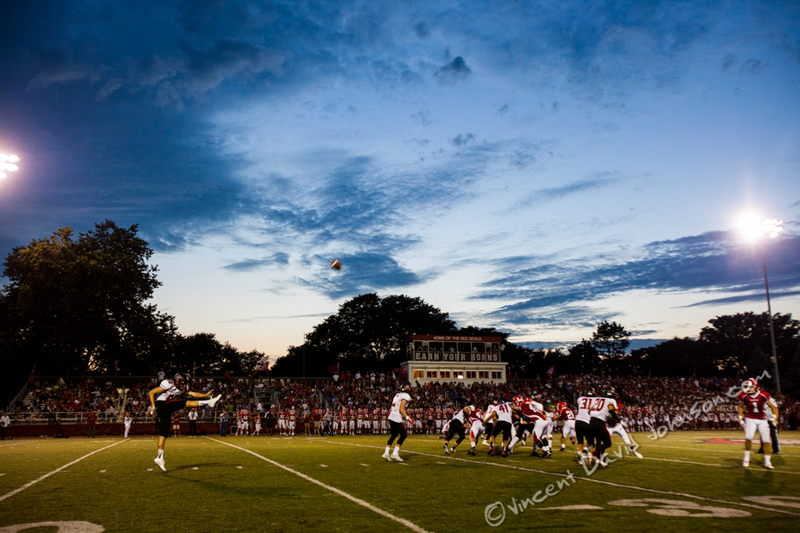 It’s that time of the year again, high school football season. So of course 7 weeks into a 9 week regular season I’m going to play a little catch up this week with images I’ve made from across the Chicago area as I’ve been on assignment for the Chicago Tribune and its suburban papers the Daily Southtown, Pioneer Press and Elgin Courier. My first assignment this year was a little unusual as it was primarily a feature story. 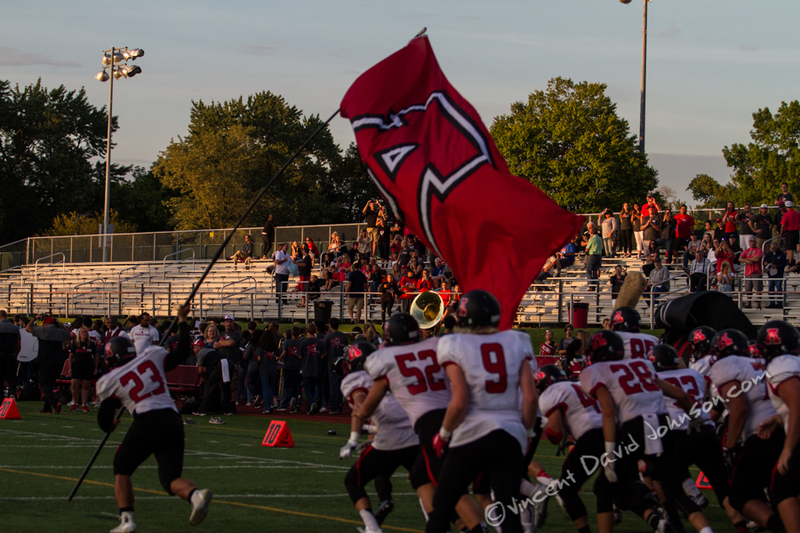 The Cavemen of American Fork, a high school from Utah, made the trip all the way to Hinsdale to take on the Red Devils of Central. So the sports editors at Pioneer Press asked if I could focus quite a bit on the fans as part of the story would be about them traveling across country for the game. While I still had to get some action from the game, the feature angle and the fact that Pioneer Press is a weekly gave me a 24 hour deadline in stead of the typical 10pm. 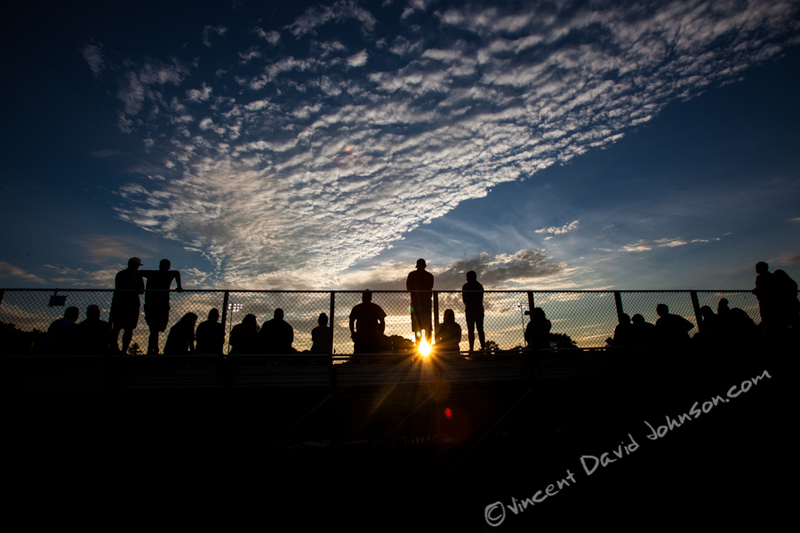 Luckily the game had a 7pm start time and I was able to capitalize on the good light and spent almost the first half of the game just shooting the fans. Here’s what I got. Including lot that didn’t run in print, or online. 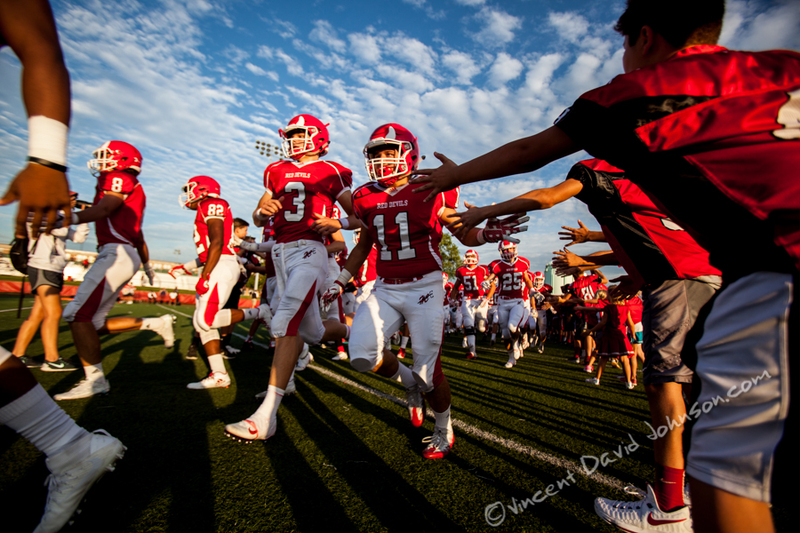 Hinsdale Central quarterback Josh Bean (3) and linebacker Brian McCarty (11), run onto the field through a tunnel of local youth football players, Friday, August 26, 2016, in Hinsdale. (Vincent D. Johnson-Pioneer Press). Hinsdale youth football players look at the players from American Fork like they were from another planet, Friday, August 26, 2016, in Hinsdale. (Vincent D. Johnson-Pioneer Press). 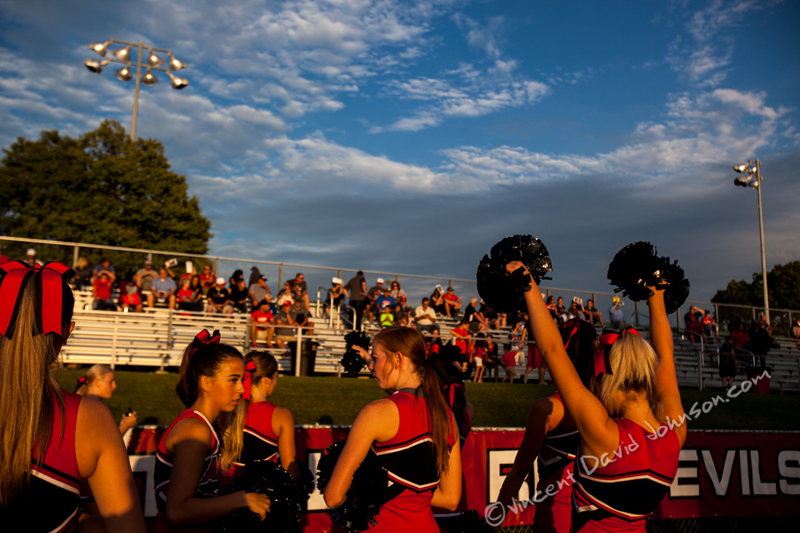 Cheerleaders from American Fork High School in Utah, practice some moves and talk before their very far away game at Hinsdale Central, Friday, August 26, 2016, in Hinsdale. (Vincent D. Johnson-Pioneer Press). 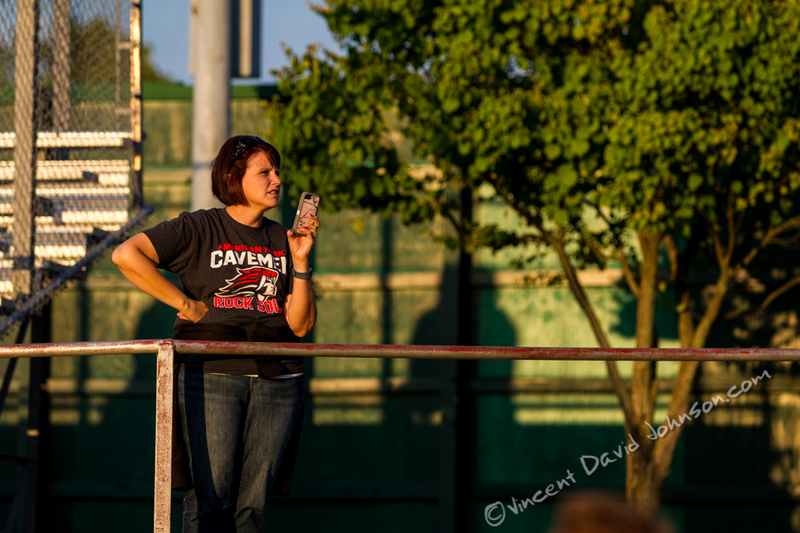 An American Fork fans waits for the Cavemen to run onto the field, Friday, August 26, 2016, in Hinsdale. (Vincent D. Johnson-Pioneer Press). 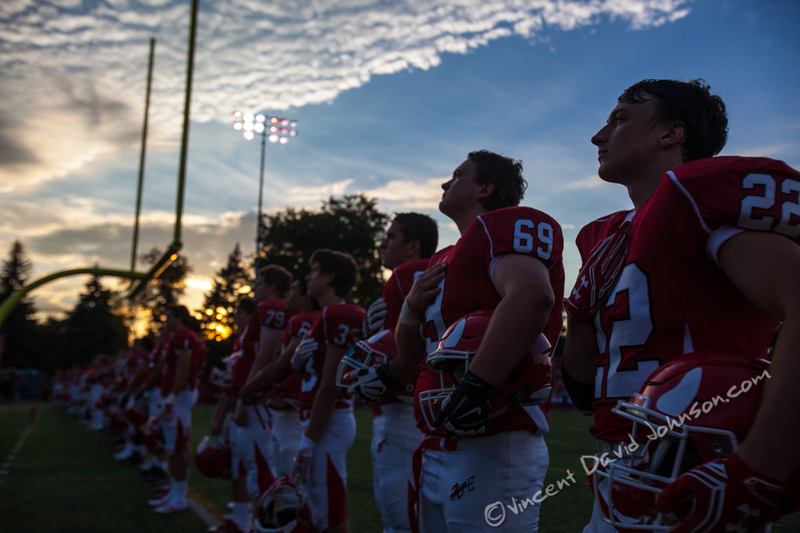 Hinsdale Central players during the National Anthem, Friday, August 26, 2016, in Hinsdale. (Vincent D. Johnson-Pioneer Press). 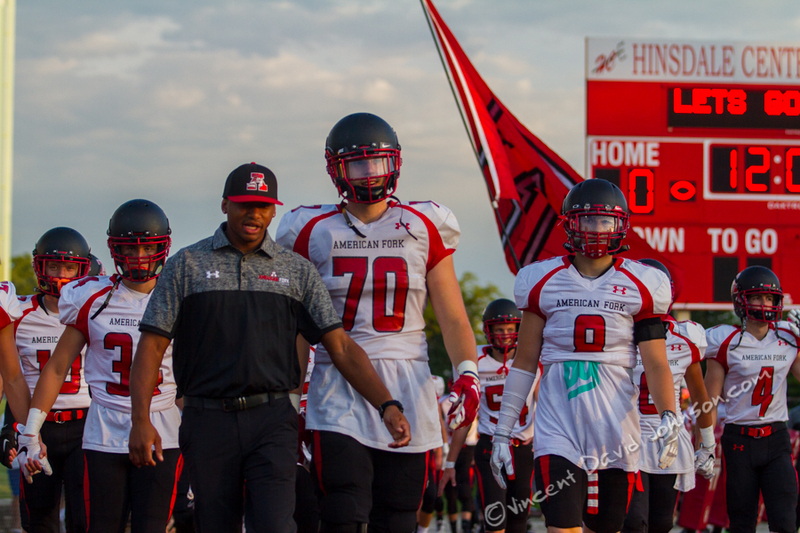 Division 1 recruit Michael Richardson (70) and the rest of the American Fork players prepare to run onto the field, Friday, August 26, 2016, in Hinsdale. (Vincent D. Johnson-Pioneer Press). 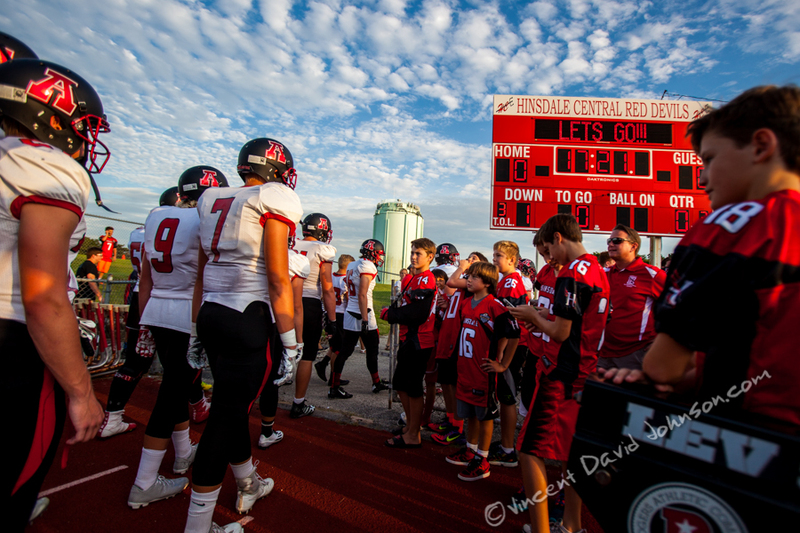 American Fork High School football players make their way onto the field infront of fans and parents who traveled from Utah to watch the game, Friday, August 26, 2016, in Hinsdale. (Vincent D. Johnson-Pioneer Press). 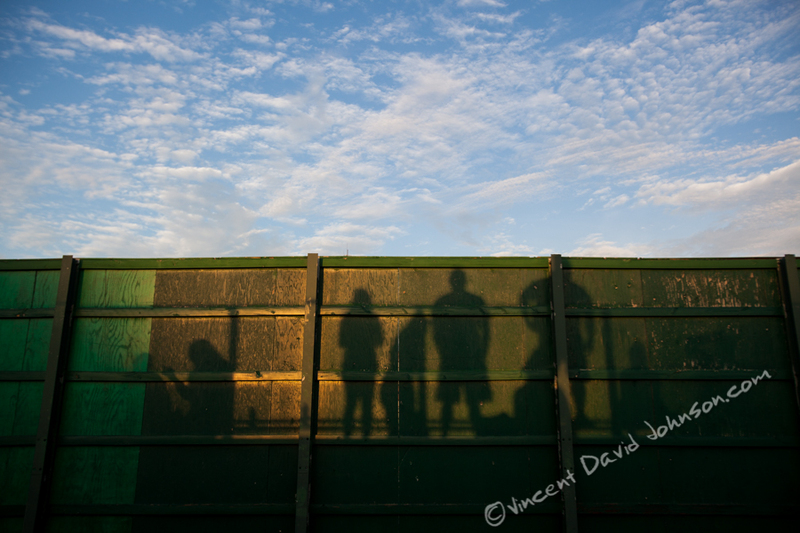 The late evening sun casts shadows on a fence behind the visitors’ stands at Hinsdale Central, Friday, August 26, 2016, in Hinsdale. (Vincent D. Johnson-Pioneer Press). 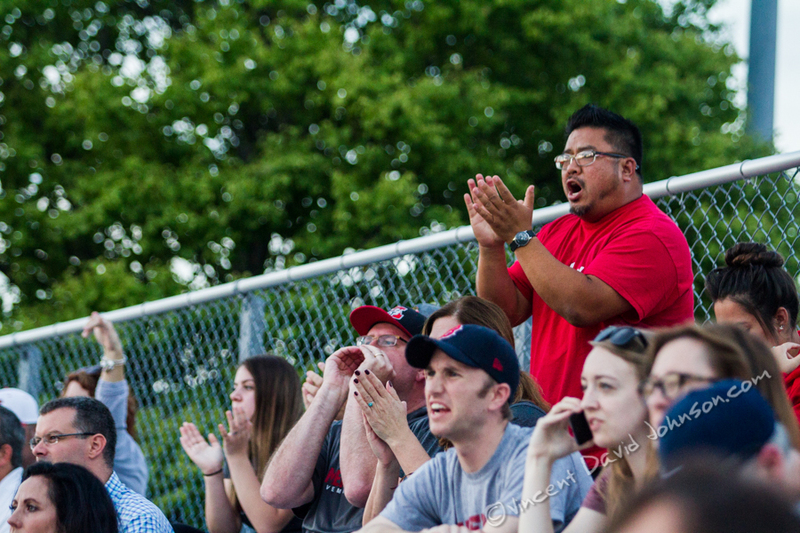 American Fork fans react to a big play in the first quarter, Friday, August 26, 2016, in Hinsdale. (Vincent D. Johnson-Pioneer Press). The American Fork stands varied by relation to the team Friday, August 26, 2016, in Hinsdale.. Chad Coleman (standing) was cheering for his son, as were Joe & Charlie Richardson (directly in front of him). Callin Osborn (blue hat) was a American Fork alumni who just happened to live in Norridge. A large number of fans however were friends with head coach Aaron Behm, who was a Chicago area native before moving to Utah. (Vincent D. Johnson-Pioneer Press). 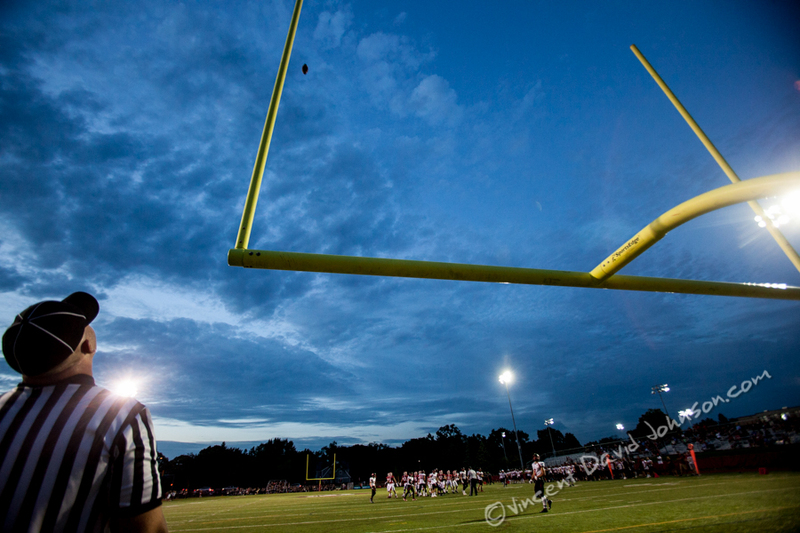 A referee watches as a Hinsdale Central field goal approaches the uprights vs. American Fork, Friday, August 26, 2016, in Hinsdale. (Vincent D. Johnson-Pioneer Press). 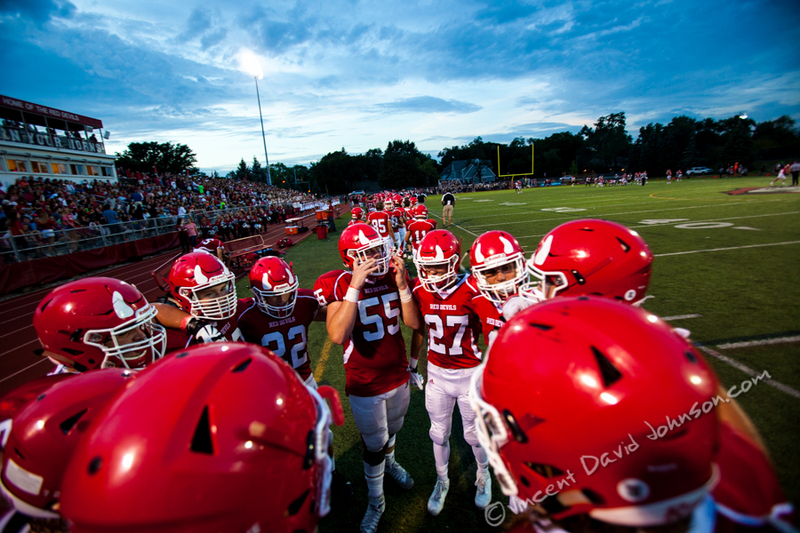 Hinsdale Central players get ready for a kickoff, Friday, August 26, 2016, in Hinsdale. (Vincent D. Johnson-Pioneer Press). American Fork punting against Hinsdale Central, Friday, August 26, 2016, in Hinsdale. (Vincent D. Johnson-Pioneer Press). 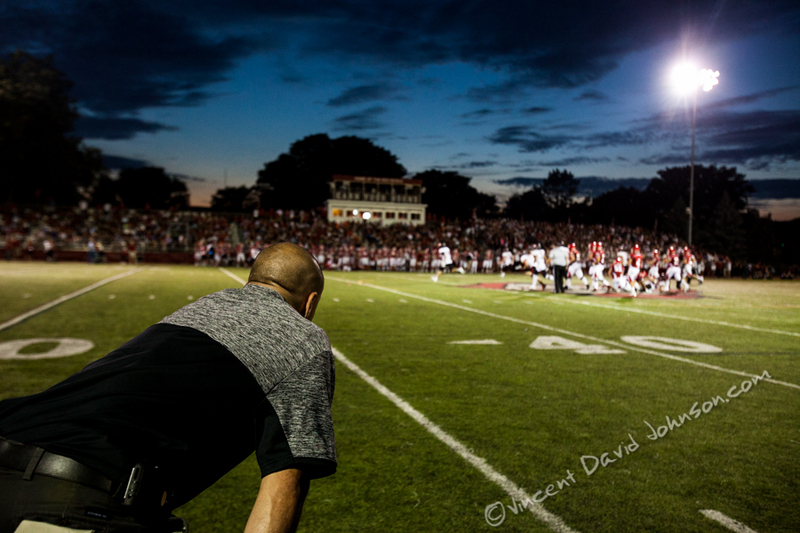 An American Fork coach watches from the sidelines, Friday, August 26, 2016, in Hinsdale. (Vincent D. Johnson-Pioneer Press). 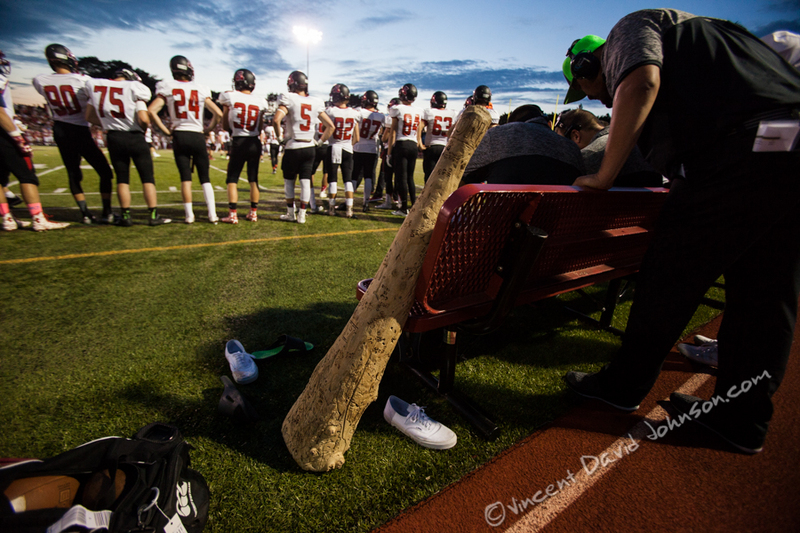 The American Fork Cavemen carried a big stick all the way from Utah, Friday, August 26, 2016, in Hinsdale. (Vincent D. Johnson-Pioneer Press). Here’s the story and some action shots that The Doings ran about the game.